Because a worldwide $1.84 billion just isn't enough. James Cameron doesn't make a lot of movies, but when he does he makes money. Not just a little money, and it couldn't even be called a lot of money. He makes so much money that it's downright stupid. He pulls in more with one film than most people will ever dream about seeing in their lifetimes. Of course, he doesn't make that money because he's a great director or because he makes great movies - that's a subjective statement and it really depends on the person. He makes the money because he's a great businessman. He makes movies that appeal to the masses and ensure an absolutely ridiculous amount of tickets sold. 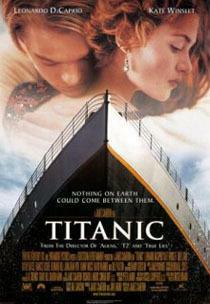 Before it was eclipsed by newer movies, 'Titanic' was the champion in terms of money coming in. It's a record that Cameron held for a long time and then regained with 'Avatar.' But just because a movie is fourteen years old doesn't mean Cameron is going to stop trying to make a fortune on it. Starting on April 6, 2012 - a few days shy of the 100th anniversary of the real ship's launch - 'Titanic' will be coming back to theaters. And if you couldn't have guessed, it's coming in 3D. Cameron says that he's out to prove that 2D to 3D conversions really work. That and to get enough money to buy yet another small country.